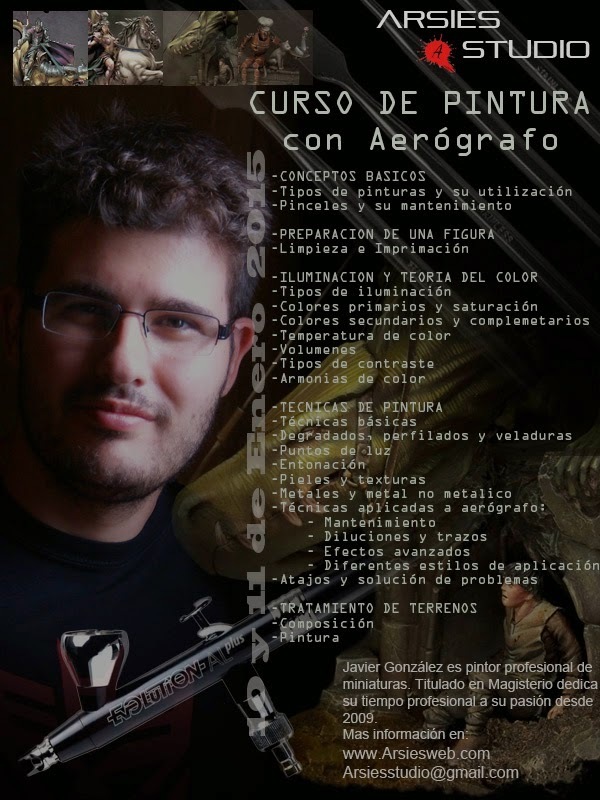 Hoy emprendo camino a Valencia para impartir un curso avanzado de pintura enfocada a Aerografía. El Curso cuenta con la colaboración de Ares Mythologic / Draconia miniatures y trabajaremos sobre una de sus miniaturas. Today I start my tryp to Valencia to give an advanced workshop of miniature painting focused on airbrusing. Workshop is sponsored with the help of Ares Mythologic / Draconia miniatures and we are going to work on one of their miniatures.